BAOFENG: BF-888S,UV-5R ,UV-5RA, UV-5RC ,UV-5RE,UV-5R8W ,UV-5RE8W,UV-5RTP, UV-8HX,UV-82,UV-82HP,UV-82HX,UV-82 Plus, A-52(II),DM-5R Plus. 1X AR-152A CS Tactical Antenna. Style: Soft antenna. Band: Dual Band VHF/UHF. 1x dipole antenna base with 60cm RG174 cable and SMA Male connector. Can be used as a simple starters antenna for many radio projects. 1x flexible Tripod mount with 1/4" male screw. This mount allows you to mount the dipole on a variety of different locations. This is the KIT for DIY HF, VLF active antenna. 10 kHz to 30 MHz. SMD parts 0805 (capasitors, resistors, inductor). Chip Inductor 680 uH. L1 - SMD inductor unmarked (10 uH). L2 - NOT SMD Inductor (680 uH). Cable to connect to AM (MW) antenna jack. Suitable for all AM (MW) portable and desktop radios. Get the best performance out of the antenna by changing its direction. Turn the antenna along its axis and adjust the distance from the radio until you get the best result. Build Your Own 25’-50’ Free Standing Tilt Crank Up Tower For Wind Turbine OR Radio Antenna You will receive the drawing package so you can build your own free standing tilt up tower. To be used for Ham radio antennas or wind turbines. It is constructed of 2 lengths of “Box” steel inserted inside of each other. You can tilt the tower down to work on your antenna or wind turbine at about 4’off the ground. You then would tilt it up using the hand winch. The tower would then be at 25’. You then could crank it up to 50’. The beauty of this is you only need 20’ of room when it is tilted over. You can install it in your urban back yard if you wish. 1 XADS-B PCB Antenna 1090MHz Antenna ANT. Interface: SMA female. Reply within 24hours. We are committed to resolve all issues in a friendly and satisfactory manner. Rate (item arrived). 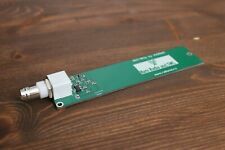 This is the active HF, VLF antenna (full assembled PCB) 1 pcs. Up to 100 feet of RG-58 coax (or what ever your coax run is). (AM Ferrite Antenna for Sony Tecsun Degen Eton and other Portable Radios. 530 - 1710 KHz Improves MW Reception 200mm. 1) you can simply attach it near your AM radio internal ferrite antenna - wireless connection. 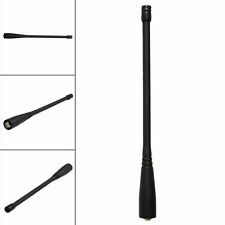 Black Durable NA-773 SMA-Female Antenna For Baofeng UV-5R UV-B5 82 BF-888s Radio. Allows you to get longer range on your handheld radio such as for BaoFeng UV-5R radio. Suitable for handheld radios with SMA male interface. Original Nagoya 3M Window Mount Clip Radio Antenna Mounting Bracket RB-CLP SMA-F for BaoFeng UV-5R UV-82 666S 777S 888S. Connector: SMA Female connect to your Radio SMA Male connect to your Antenna. Compatible for:BAOFENG UV5R UV5RA/Plus BF888s. Model: SF20. Soft antenna that you can not break it easily. Mini antenna: only 7.2cm long. Band Dual band ~ UHF/VHF. Connector SMA-F Female Interface. Dual band UHF/VHF: 144/430MHz. MiniVNA Antenna Analyzer up to 30 MHz. High quality PCB for mini VNA (for AD9850 board). • Frequency range 1-30 MHz. • RF Generator with output power of 1,5 V @ 20 MHz. You will get. Nagoya NA-701 SMA-Female Dual Band Handheld Antenna. 1x Nagoya NA-701 Antenna. Weight: 20g. Height: 206mm. For BaoFeng Antenna SMA-Female UHF/VHF 136-174/400-520 MHz For UV-5R UV-82 GT3. 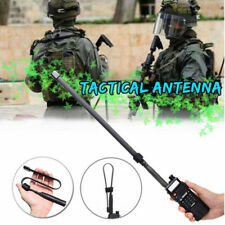 Compatible:BAOFENG uv-5r antenna. For BAOFENG : UV-5R , UV-5RA, UV-5RB, UV-5RC, UV-5RD, UV5R Plus, UV-5RA Plus, UV-5RE, UV-5RE Plus, BF-V6, UV-B5, UV-B6, BF-V85. 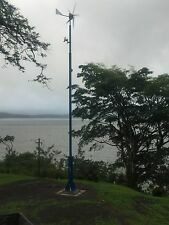 2m/70cm 144MHz/430 MagMount Amateur Radio Mobile Antenna. Condition is Used. Type: Formula A Moldol. LW Ferrite Antenna for Sony Tecsun Degen Eton and other Portable Radios. 125 - 530 KHz Improves LF - LW Reception 200mm Long. - Improves Sensitivity and Performance of your LF Radio Receiver for LW Band Dxing! Power feed unit has TX/RX switching for protect preamp during transmitting! Flag FO0AAA Loop rx antenna kit. - 72 ft (22 m) wire for Loop antenna. You will get. For Nagoya NA-771 Whip Antenna will allow you to get longer range on your radio. This antenna features a 2.15 dB signal with up to 10W of power. 1x NA-771 Dual Band Handheld Antenna. Boost the signal of your radio significantly! For Nagoya NA-771 Whip Antenna will allow you to get longer range on your radio. This antenna features a 2.15 dB signal with up to 10W of power. 1x NA-771 Dual Band Handheld Antenna. Frequency: 144/430MHz. 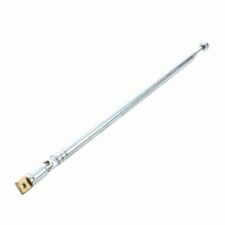 * Replacement 49cm 19.3" 6 Sections Telescopic Antenna Aerial for Radio TV * 6 sections telescopic antenna aerial. * Ideal replacement part for radio equipment, television, car antennas, phone antennas, remote controller, etc. * Mounting Hole Diameter : 0.25cm / 0.098" * Material : Steel, Brass;Color : Silver Tone * Weight : 16g * Package Content : 1 x Telescopic Antenna Brand Unbranded MPN Does not apply EAN 888309000637 UPC Does not apply EAN 888309000637 EAN 888309000637 EAN 888309000637. ML40HP MK11 Remote Tune Magloop. 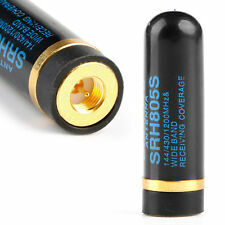 1 X RH901S SMA-F Antenna. for BAOFENG. Connector SMA Female. Other radios suitable for this connector antenna. Impedance 50. Note: Light shooting and different displays may cause the color of the item in the picture a little different from the real thing. There is onefault the band tab does not switch to UHF from VHF the pad will need cleaning. Bandwidth: 5 MHz. Pretuned to 145 MHz: Just connect the coax and transmit. Ideal for a long range tx/rx or repeater/beacon station. What's special about this ANTENNA you say?. Read on. 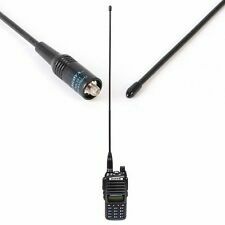 SKU: Z245 Features: 100% Brand New and High Quality Replacement telescopic aerial/Radio DAB/FM. 10 section extendable. Complete with bend to help gain better reception. Ideal for your broken portable radio/TV aerial. Universal aerial and should fit most models. This item is a brand new telescopic aerial for the above tivoli audio model one/model two/model three/model DAB or any radio with an 'F' type connection. Length:20cm long or 122cm extended. Material: Steel Color: Silver Quantity: 1 PC Net Weight: 55g Please look at the picture before buying to confirm your connector is the same: Note: Lighting, display and other factors may cause COLOR SHADING, please comprehensive pictures and text descriptions to determine! Package Includes 1 xF Connector Antenna. They are a compact design and are designed for open field, camping, garden or a trip to the park, on the balcony in a flat, boat or anywhere a wire antenna isn't practical, They could be permanently fitted outside but would need to have the capacitor Enclosed. Item Description Features: 100% Brand New and High Quality Wide range of applications. It can effectively enhance the signal. RE-02 mobile ground antenna for Car Radio Mobile Radio. Model: RE-02 Frequency: 10-1300MHz Connector: UHF-F to UHF-M Length of antenna: 10.8cmX3(UHF) and 15.8cmX3(VHF) Color: Black Material: Metal Quantity: 1 Set Net Weight: 100g Note: Lighting, display and other factors may cause COLOR SHADING, please comprehensive pictures and text descriptions to determine! Package Includes 3 xShort Gain Rods 3 xLong Gain Rods 1 xAdapter. I used this for about 4 month and it works perfectly hitting all the spots, Duel band antenna And Hi Quality Lead And Mount Condition is Used. Dispatched with Other 48h Courier. Electrical circuit of this active antenna board based on high impedance differential amplifier wired across the loop. Frequency tuned with varicap. 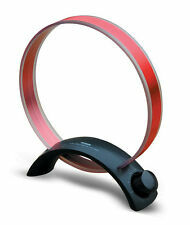 By selecting size and inductance of hula-loop turn you can set desired HF range of the antenna. 80m delta loop antenna works on 80-40-20-15-10-6m bands no atu. water proof ip66 rated enclosure with stainless fittings. polyweave antenna wire 160kg breaking strain. 81m in circumference. This is original Nagoya antenna NA-771 SMA-Male. Yaesu handheld Radio 1 x NA-771 Dual Band Handheld Antenna. It is flexible. Boost the signal of your radio significantly. Mini USB2.0 EDR Wireless Bluetooth Dongle Adapter For Laptop PC Win Xp Win7/8/10. This type of antenna is used by BNC connectors, BNC type connectors for use with RF or scanners, or use our antenna adapter to convert to other types of radios. Connector: BNC Male. Receiver gain: 3db. 100 M COAX RG58U. RG58U solid core. Ideal for RF connections . We would always appreciate the opportunity to put things right if there is a problem of any kind. For Baofeng: UV-3R UV-100 UV-200. Included: 1 x SMA-Male Radio Flexible Antenna. It is extendable that boost the signal of your radio significantly. Compatible with: Two-way handheld radio. Impedance: 50 OHM. BNC Male to 2 BNC Female 1 In 2 Y Splitter Test Probe Lead Cable 0.4M Copper. 1PCS Blade Blank Key Motor For Kawasaki ZX 6R 9R 10R 12R 14R ZZR ZRX ZXR VN BLK. Type: NA-701 Antenna. Black Union Jack UK Design Door Handle Cover For Mini Cooper R50 R52 R53 R55 R56. 2x MCAD SCB Procom GA 4/h 50cm Military Radio Whip Antenna set. *NEW* in carry case, no outer packaging International buyers please request an invoice at checkout for an accurate postage quote. Check my other items for more interesting stuff! WOUXUN: KG-UVD1P, KG-816, KG-818, KG-819, KG-869, KG-889, KG-833, KG-659/E, KG-699, KG-669, KG-669plus, KG-689, KG-679, KG-659, KG-689plus etc…. 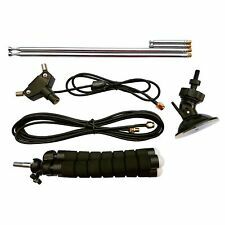 -10w Antenna for BAOFENG UV5R / UV5RA / UV5RE HIYG. BAOFENG: UV5R/Plus, UV5RA/Plus, UV5RE/Plus, UV5RB, UV5RC, UV5RD, UV3RPlus, BF-320, BF-480, BF-490, BF-520, BF-V6, BF-V8 etc…. Antenna length: 80cm. 1X YD-80 CS Tactical Antenna. Style: Soft antenna. Compatible for Ham Radio Model BF-666S, BF-777S, BF-888S, BF-320, BF-480, BF-490, BF-V6, BF-V8, BF-388A, UV-5R, UV-5RA, UV-5RB, UV-5RC, UV-5RD, UV-5RE, UV-82, UV-B5 B6, GT-3, UV-6R, BF-F8 DM-5R BF-UVB3 Plus, UV-9R Plus,UV-S9.